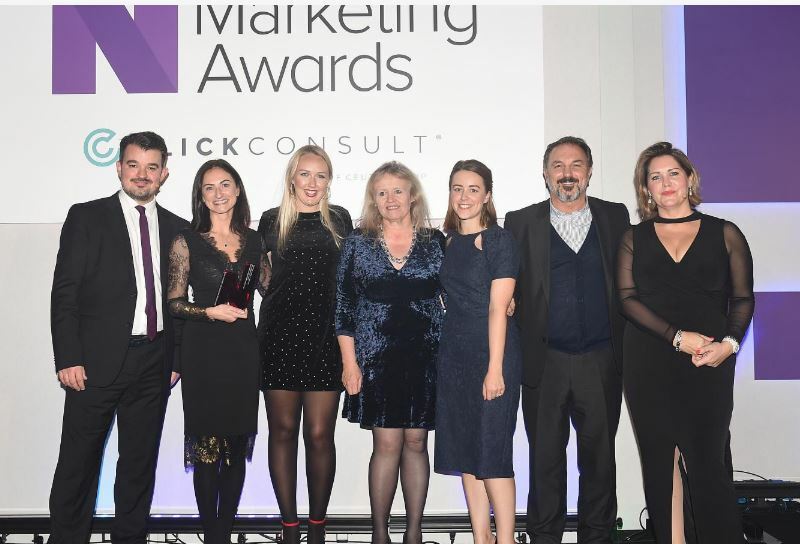 It was a fantastic night for team Conker this week at the prestigious Northern Marketing Awards, as the proud winners of Best Sustainable/Green Campaign for our Glass is Greener campaign with Creamline! Building on the environmental awareness the Blue Planet series raised, we devised a multi-pronged marketing campaign with clear objectives, placing Creamline centre stage. The campaign encouraged more of the dairy’s customers to convert to glass bottles, whilst also directing new audiences towards Creamline. Securing stellar coverage in our target regional media, including 4 BBC appearances in 6 weeks, we created a hard-hitting PR campaign that strengthened engagement with Creamline’s existing customer base through digital and print communications. The Glass is Greener credentials go beyond customer sign-ups – the campaign has seen over 10 million glass bottles delivered to homes and businesses across Greater Manchester in 2018 alone. This has saved a staggering 183 tonnes of plastic from local landfill. To put it into context, if you lined up each of these plastic bottles saved from landfill, they would cover over 900 miles – the same distance as the crow flies from Manchester to Madrid. The Northern Marketing Awards judges praised our incisive approach and return on investment with judicious use of budget for Creamline. We were thrilled to win an award that recognises all our hard work on this campaign, and on behalf of our hugely deserving client. Here’s to many more to come! Find out more about our work with Creamline here.